Welcome back everyone! I’ve been missing in action since the New Year, and I have to admit it feels wonderful. I’ve been recovering from a cold and spent the entire weekend huddled up with my laptop and all three seasons of Downton Abbey! I literally watched all THREE and loved each episode :). I’m fully rested and recovered now, and it’s back to work for me this week. I cannot wait to reconnect with all of you and see what projects the New Year has brought! Thanks for the party Beth! Hope you are better! Hi Beth: Sorry to hear you were under the weather, but glad that you are feeling better now. 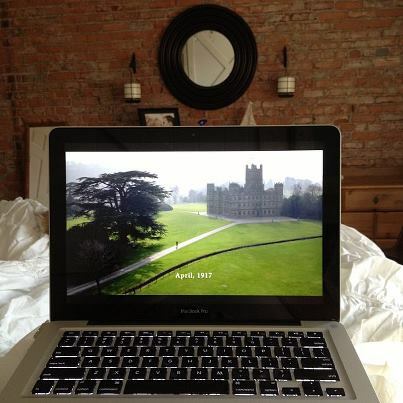 I love Downton Abbey–good choice for your recovery time! Thank you for hosting the party today, and here’s wishing you a wonderful new week! Yay! I finally have a good project to share. Happy New Year, girlfriend! Everyone is talking about Downton Abbey and I want to watch too! 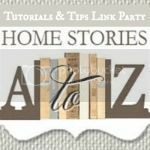 Where do you do online to watch the back episodes? Beth…thought you were away enjoying a beach somewhere! Sorry to hear that you were under the weather. Really glad that you are back and can’t wait to see what you have to share! i can’t get into downton abbey, but i am newly discovering arrested development, which is hillarious. thanks for hosting. Glad you are feeling better. Taking a break is a good thing. I watched season one and two on Hulu, then recorded the first of season three last night. Only got about 1/2 hour in. I can’t wait for a break to watch the rest of it. I was a little obsessed there while I was getting through season 2! Glad you are feeling better 🙂 I keep hearing about that show but have never seen it! Im thinking it must be really good and I need to get with it and watch! Oh my gosh! I was up until 2 am watching Season 3 last night, I made it to episode 5!! I am seriously addicted to that show 🙂 So glad you are feeling better. Happy New Year! Thank you very much Beth for the jammin’ party! Glad you were able to take some time to rest up and feel better! Nothing better than some relaxation time! Thanks so much for hosting – happy 2013! I’m so glad you are feeling better! I hope you have a fantastic week. Thanks for hosting.